Almost a quarter of a century ago I had a bout of Epstien Barr virus (called Glandular Fever here in Oz) and within a year had put on about 30kg and was getting sicker and sicker. The doctor did a blood test and diagnosed underactive thyroid. He said, “Here take this magic pill (Oroxine) and you’ll be better!” Honestly! And so I continued taking my magic pill and continued to get sicker and sicker. September of 2014, a friend with Hashimoto’s Autoimmune Thyroiditis, who looked amazing, BTW, recommended an Integrative/Functional Dr. At that appointment, the first thing the doctor asked was about my previous childhood diseases. As soon as I mentioned the Glandular Fever/Epstien Barr, she asked what my adrenal tests in the past had indicated? She actually asked me that. 🙂 Ummmmm…..no one had ever mentioned having my adrenals tested!? A battery of tests later, she diagnosed my issue. Or should I say issues?! 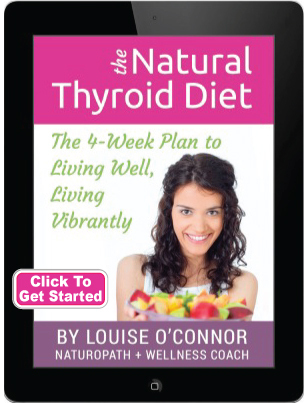 I was not only hypothyroid, but I had Hashimoto’s, an Autoimmune Disease. My adrenals were and still are, completely shot. My inflammation was off the charts. My histamine and copper levels, were as well. My ability to process protein was and is, out of whack, too. And, lucky me, so are about 20 other, associated things. 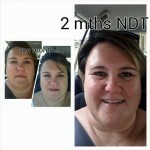 She instantly prescribed NDT (Natural Dessicated Thyroid or Natural Thyroid Extract as we call it in Australia/OZ). Within a month, just 1 month, the facial puffiness had disappeared. Taking a host of supplements is now part of my every day routine. Including: Adrenal Rebuilder, Probiotic, Magnesium, L Glutamine, Vitamin C, Zinc, Astaxanthin (antioxidant which helps eye sight), B12 spray AND… after much research, I began a Paleo lifestyle. 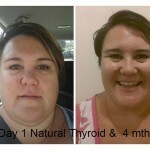 I started a facebook page and website called BeyondThyroid.com to document my journey. I’d love to make sure that other autoimmune sufferers don’t waste a quarter of a century chasing answers. The attached photo is of my face after just one month on NDT, and the third photo is after two months on NDT and a month on Paleo. In addition to having that thyroid-tired, lifted and energy returning (I still get tired just not that thyroid-tired). I’m feeling so much better. Additionally, I’m happy to report that I’ve lost 10kg already, without even trying!! MIRACLE! Cheers, Thyroid Thrivers, from Down Under! Questions or anything to add about autoimmune disease or Jodie-Anne’s journey? We want your thoughts in the comments section–Please! Ore let us know on our Facebook Group!